Nothing makes us at Eyes on You in Seattle, WA, happier than exceeding your expectations. We truly believe that a happy customer is a lifelong customer. Your eye health is important to us, which is why we offer comprehensive eye exams in Seattle. We strive to build genuine and lasting relationships with all our customers. At Eyes on You, we want to get to know you personally and understand all your optical needs. We're not like any other optical shop. Whether you are looking for that perfect pair of eyeglass frames or a stylish pair of sunglasses, we will patiently work with you to find the solution. By listening to you and understanding your needs, we can better serve you with our expertise in eyewear and eyecare as we offer some of the best eye care in Seattle. Relationship matters, especially in a service-oriented business like Eyes on You in Seattle. As the newest trendy Seattle optical shop, we understand that building a good rapport with our customers is the most important key to becoming successful. Thus, our expert team of Seattle opticians, support staff and Dr. Lawson, our downtown Seattle optometrist at Eyes on You, welcome everyone who walks into our store with open arms and open hearts. With the support of the local community, our goal is to become the number one provider of family eye care in Seattle, WA. We believe that the best way to connect with people and establish authentic relationships with people are through events. We are always excited to organize events as they allow us to meet new people and potential customers who are interested in achieving excellent ocular health. Eyes on You is committed to offering you a unique optical experience through our unparalleled service and high-quality products. Check this page often to see our upcoming social and promotional events, particularly if you're in the North West part of the country. When you see one that piques your interest, just consider yourself invited. 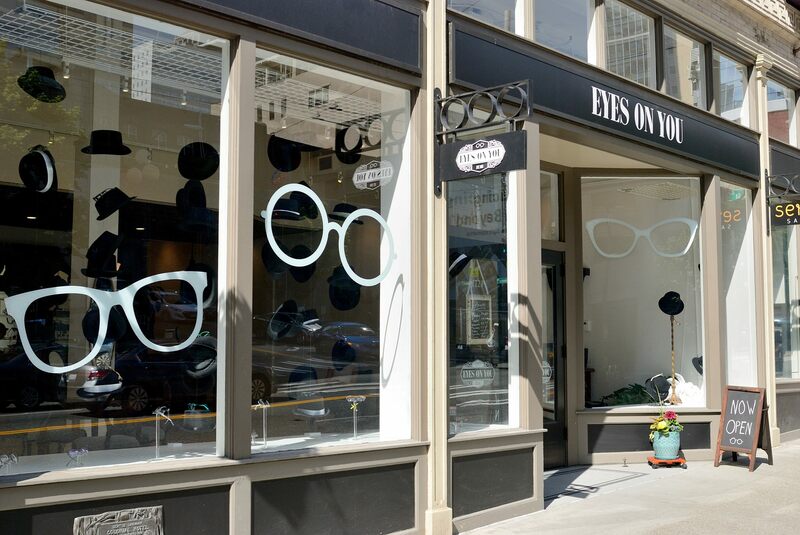 So if you're looking for a Seattle optical shop, eye care in Seattle or sunglasses, you're at the right place.